Do you have a photographer in your life who you’re looking to gift something for the holidays? Whether you’re a photographer and are looking to TREAT YO’ SELF, or you know someone who needs a boost to start using their creativity in the photographic arts. This list of items will give you a start to making the holidays extra special for folks who spend much of their time behind a lens. They went away for a while and came back, and went away, and came back. But now, Polaroid is back with an affordable, updated version of their original design, making emulating the old style easier than ever. For the nostalgic photographer, this will be the perfect gift for them to make memories with. Buy here. The latest product from DJI is their pocket camera, with a tiny gimbal, which makes it the perfect action cam for video and photography on the go. This little device packs a lot of power and is great for the adventure vlogger who likes to capture movement when they’re traveling the world. Buy here. They may mistake it with their real ones because it looks so much like a camera lens, but they’ll enjoy it all the same. For the coffee-loving camera friend, this mug is in line with their likes and super fun. Buy here. Some photography snobs might say that phonography isn’t true art, but with how amazing the cameras on phones are nowadays, it’s hard to ignore the great images you can get from a mobile phone. If you’re wanting to splurge for your social media obsessed loved one, the new Google Pixel 3 will get you the most fantastic photos. Buy here. For the hipster fashionista camera lover, why not gift them an adorable enamel pin. Etsy is full of them and they’re the perfect little accessory to add to a coat or camera bag. Buy here. For alternative photography style enthusiasts, there’s no better company to buy from than Lensbaby. Their warped lenses give your photos unique and vintage styles that are far more interesting than a normal photo. And they’ve started making mobile lenses, which means you can start using your phone to get these wonky shots. Buy here. For the solo traveler who struggles to get photos of themselves, this little remote will be a lifesaver for them. Through Bluetooth, you can just press a button and get all the shots you need. You won’t know how you lived without it. Buy here. Yes, there’s many free apps and software out there that will help you with photo and video editing, but to take it to the next level, it’s best to upgrade to Adobe’s Creative Cloud programs. There are various levels of membership, but the best for a photographer will be their Photoshop and Lightroom plan, which are the two programs you’ll need the most. Buy here. For those who love to get super creative, this lighting tool could be the item that helps someone bump up their photography game. This light stick can be programmed with different colors and used as a wand to create long exposure images that are out of this world. Buy here. Show someone you really care about them enough to have their name branded into their strap that holds how they make their livelihood. 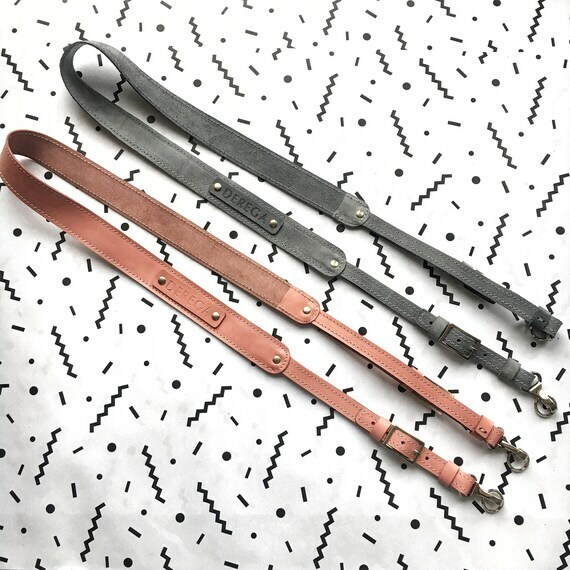 These customizable camera straps will make the perfect gift for any photographer. Buy here.